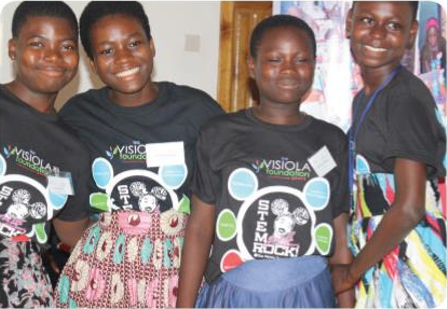 The Accra STEM Fall Camp for teenage girls is a 5-day non-residential camp that will introduce students to broad principles of computer programming, mobile app development, and robotics. Students will develop confidence in their ability to apply programming and science techniques to solving problems in a broad range of fields. The camp will also provide students with an understanding of the role science and technology can play in solving problems and to help students feel justifiably confident in their ability to write programs that allow them to accomplish useful tasks. Must be an African girl aged 13 – 17 years. Must have completed her primary education in an African country. Must be currently enrolled in secondary school in Ghana. Must be available for the full duration of the camp. Kindly fill this application form to register for the STEM camp. The camp is non-residential and will hold from December 11 – 15, 2017. There is no fee for the camp. Registration and attendance is free, however kindly ensure that you are able to commit to daily attendance before you apply. Deadline for the application is November 27, 2017. Kindly call +234-908-140-0727 or email admin@visiolafoundation.org for further information or enquiries.